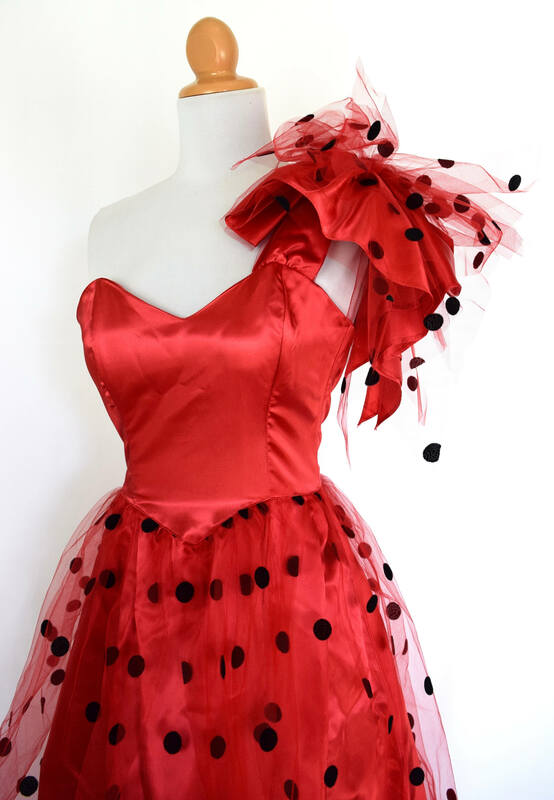 Adorable ruby red satin party dress with polka dot mesh overlay and a festive, oversized bow on the shoulder. Boned bodice. 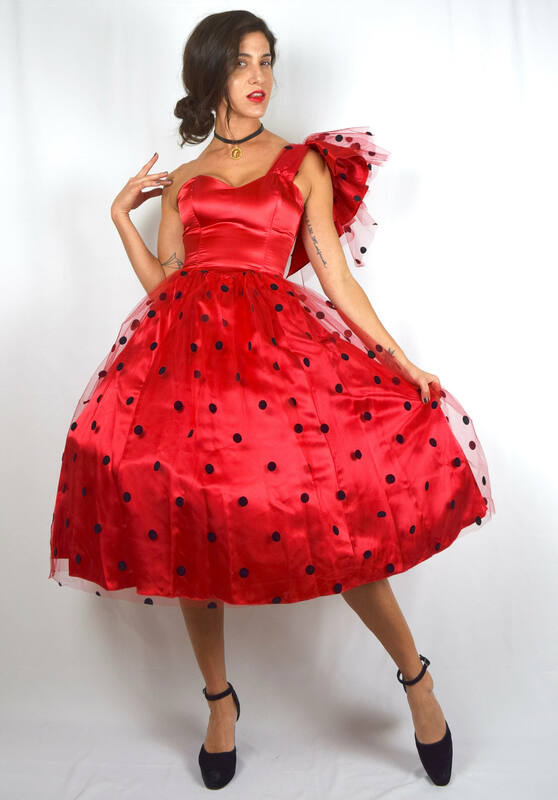 Built-in tulle petticoat. (Additional petticoat being worn in the photos above to illustrate the volume of the skirt). Zips up the back.